Find flyers, graphics, and descriptions for web, email, and social media to promote your participation in the 2019 Carnegie Foundation Summit on Improvement in Education. Download the Summit flyer in PDF. Download images for web, social media, and email. Please link each image to: http://www.carnegiefoundation.org/summit2019. Use hashtag #CarnegieSummit2019 when posting. Follow us on Twitter and “Like” our Facebook page so you can stay up-to-date on all 2019 Summit news! Keep tweets between 120-130 characters so that others can respond or re-tweet. 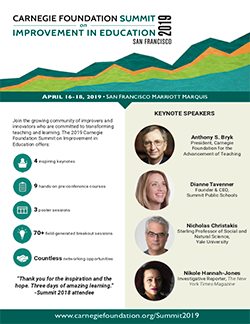 Use the Summit hashtag #CarnegieSummit2019. Whenever possible, tag the Carnegie Foundation in your tweets at @CarnegieFdn. Keep your posts short and sweet and try to include an image, link, or some other visual content. Use action words in your post, such as “like,” “share,” and “explore,” to urge readers to take a specific action. Ask questions and solicit the input of others to keep the dialogue going. Descriptions can be adapted for newsletters, emails, social media, etc. 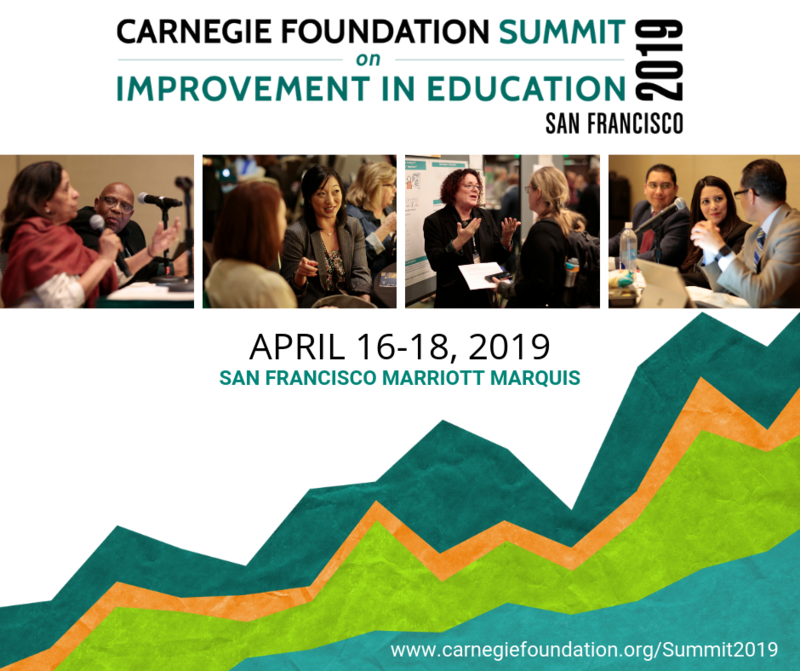 The Carnegie Foundation’s sixth annual Summit on Improvement in Education is scheduled at the San Francisco Marriott Marquis, April 16-18, 2019. The Summit draws more than a thousand of the best minds at the vanguard of improving education. Discover how practitioners and organizations are applying principles of networked improvement science to achieve better educational outcomes, and hear lessons learned from leaders who have taken on improvement work. Make connections and join the largest — and growing — community of educators, researchers, innovators, and policymakers dedicated to challenging the status quo and changing how the education field learns to improve. 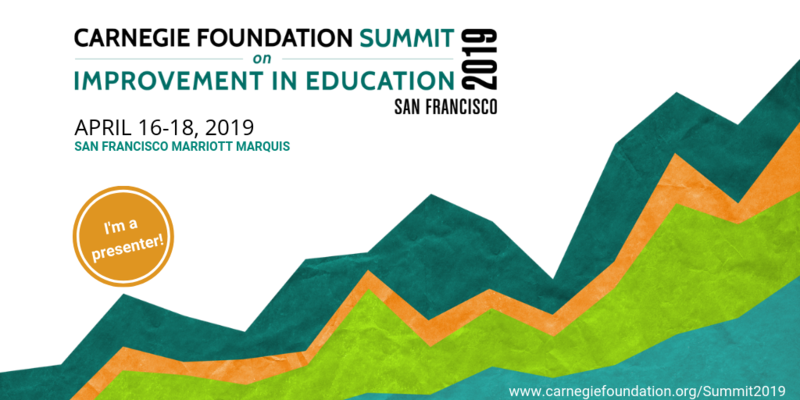 The Carnegie Foundation’s sixth annual Summit on Improvement in Education, scheduled at the San Francisco Marriott Marquis April 16-18, 2019, draws more than a thousand of the best minds at the vanguard of improving education. This event provides a singular opportunity to expand your knowledge of the principles, skills, and tools of networked improvement science in order to address complex problems in education. Come to participate in the largest — and growing — community of educators, researchers, innovators, and policymakers dedicated to challenging the status quo and changing how the education field learns to improve.